On Wednesday 15 May CAT’s Paul Allen will speak at the All-Energy exhibition in Glasgow, exploring ‘Whole energy system zero carbon transition’ as part of a session on ‘Planning Energy Transition’. 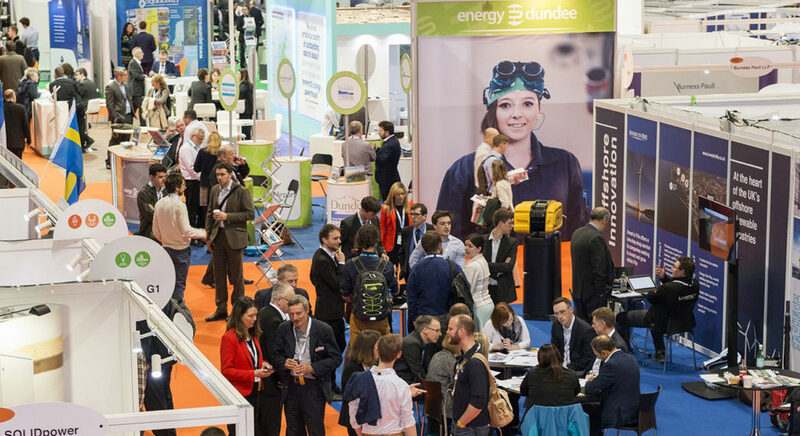 All-Energy is the UK’s largest renewable and low carbon energy exhibition and conference, taking place at Glasgow’s SEC on 15 and 16 May, with a new event, Dcarbonise, alongside. Now in its 19th year, All-Energy focuses on renewable power, with a large exhibition hall packed with innovative solutions for the challenges facing those behind every sort of renewable energy development at home and overseas. The conference concentrates on all forms of renewable energy generation as well as energy systems, the grid, energy storage, hydrogen, decarbonising industry, carbon capture and storage, finance and funding, and community and local energy. Over 7,000 people attended in 2018, including the First Minister of Scotland, The UK and Scottish Energy Ministers and Scottish Transport Minister; this year’s line-up promises to be just as impressive. Dcarbonise, with its strap line ‘A carbon-neutral future starts here’, is Scotland’s only dedicated event for low-carbon built environment and transport solutions. Sponsored by the Scottish Government, Energy Saving Trust and Zero Waste Scotland, it is aligned to the Scottish Government’s ‘Energy Efficient Scotland’ programme. It focuses on the solutions and advice needed to improve the energy efficiency of existing buildings and generating low carbon heat.